This week is an exciting one for Lyttelton Library and our customers, with our fabulous Stories after Dark with Lindsey on Thursday night, and the awesome Lyttelton Harbour Festival of Lights on the evening of Friday 29 June. 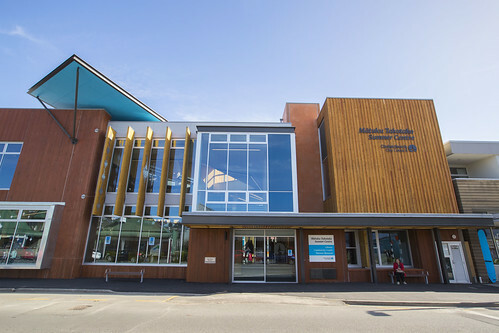 Lyttelton Library’s Stories after Dark starts at 6.30pm on Thursday 28 June – head down to the library and join us for stories, songs and rhymes followed by crafts and hot chocolate. We will entertain your 4-7 year olds, and the whole family is welcome. Come along in your PJs and bring Teddy too! Friday 29 June is the night for the annual, spectacular Lyttelton Festival of Lights! Lyttelton Library will be closed as usual, but we’ll be doing our bit with several lightshows in our own space, and projected onto neighbouring buildings. Come through the tunnel for fabulous food vendors, lively musical entertainment, the Lyttelton Primary School parade, and the Lyttelton Port of Christchurch fireworks display at 8pm! Parking in Lyttelton is extremely limited, especially with the extensive roadworks going on at the moment. For a parking-stress-free evening, check out the festival park and ride information (scroll down to Public Transport Information). CINCH listings for Lyttelton — Lyttelton organisations listed in our Community information directory. See images of early Lyttelton in our heritage photo collection. My grandfather’s brother never came back from World War One. He’s buried in Armentières, France. My grandmother’s brother lost his leg, so the family farm in Southland had to be sold – he couldn’t take up his inheritance. 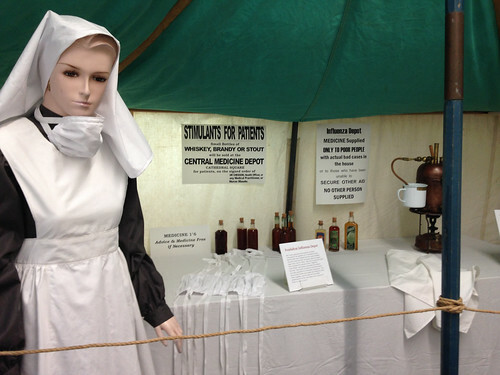 My great aunt’s fiancé returned a shell-shocked alcoholic – PTSD, they’d call it these days. They parted and she never married. In the retellings of the larger stories of war it is often these vignettes of personal loss, the consequences felt by loved ones, that speak quietly but with a universal relatability. I found myself thinking of those members of my family, and the war that changed their lives, when listening to the beautiful lament E Pari Rā. Written by Paraire Tomoana (Ngāti Kahungunu and Ngāti Te Whatu-i-āpiti leader) for his relative, kuia Maku-i-te-Rangi Ellison, E Pari Rā gives a lasting voice to her pain and grief over the loss of her son Whakatomo Ellison, who died in the battle of the Somme. Its beautiful metaphor for grief as the surging tide is both deeply personal, and universal. E hotu rā ko taku manawa. / with each throb of my heart. Te iwi e he ngākau tangi noa. / everyone is utterly heart-broken. Confession time. My reading tastes tend towards non-fiction. Not exclusively, but you’re far more likely to see me curled up with a good gardening book or a lush costume history than a weighty fantasy tome. This can make things slightly awkward when it comes to reader advisory (“You work in library – you must have read [insert novel/bestseller/literary worthy here]!”) All I can say is thank goodness for Novelist Plus and Fantastic Fiction for easing the stress of fiction read-alike queries! I like to liberally sprinkle my reading fare with a good serving of memoirs, and this year has thrown up a few really good (and quite varied) reads. 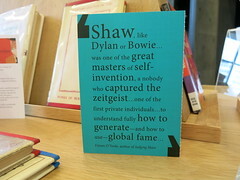 Often I pick up a memoir knowing absolutely nothing about the person concerned, just because that can be bizarrely fun. For instance, the first I’d ever heard of Russell Brand (some years ago now) was reading My Booky Wook – yes, I live in a hole. I just liked the title. Amongst this year’s finds, The Girl With the Lower Back Tattoo wasn’t quite such a stone-cold intro. I’d seen some stand-up by Amy Schumer and had enjoyed it the point of snarfing my drink (always a sign of good comedy). I find her “oversharing” comedic style both endearing and fascinatingly horrifying, and her writing is much the same. I did find it a bit patchy, but her story has definitely gone on my list of female voices I’ve enjoyed hearing. I laughed a lot, I felt for her, and I admired her honesty. Honesty (or the appearance of it) is I guess what we look for in a memoir. Reading memoirs can feel voyeuristic as a reader, sometimes to the point of discomfort but (unlike the nastiness of tabloid journalism) it is at least consensual voyeurism. I don’t mind that someone might only be telling what they want to tell (a somewhat odd criticism often levelled at autobiographists and memoir-writers, as though they are under an obligation to bare all). I’ve always figured that that is their right and I listen to their story knowing that the bias is part of the story. 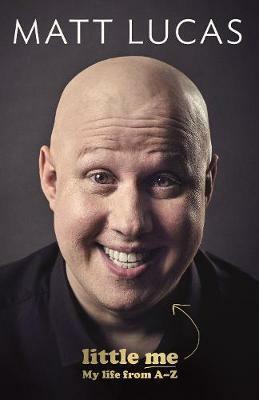 I’ve just started Little Me: My life from A-Z by Matt Lucas, and I’m enjoying it very much. Again I knew little of the man other than some of his television appearances (I’ve particularly enjoyed his character on Doctor Who and his appearances on QI), but I saw the book go past in a transit crate, read a page or two, and was engaged enough by his friendly and straightforward writing style to place a hold. Matt’s take on the whole “telling the truth but not the whole truth” thing is this: “I’m only forty-three. If I spill ALL the beans, then no one will trust me, no one will hire me and I’ll have no option but to go into the Celebrity Big Brother house.” More seriously, he talks about not breaking his promises to those he’s loved – which makes me like the guy. In an about-turn sharp enough to cause whiplash, my other favourite memoir of the year is about a dog and his gardener. 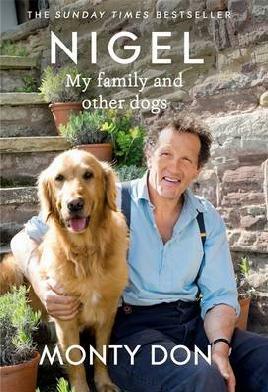 Nigel: My family and other dogs by Britain’s Gardeners’ World host (and one of my personal gardening heroes) Monty Don, is a delight. Nigel, a gorgeous retriever, shot to fame as a result of his scene-stealing, haphazard appearances in Monty’s garden tutorials. He has his own social media sites and fan mail, and caused great concern amongst viewers recently when he disappeared off camera for some weeks due to a back injury. I have always loved Monty Don’s visible love of, and delight in, his garden. In Nigel we learn of his love for the generations of dogs that have been a part of his life, in all its highs and lows. Ostensibly a piece about the special place dogs can hold in our lives, the book is also an open and honest look at Monty’s personal and business highs and lows, his struggles with depression and how his garden and his dogs help him through. I’m not sure what 2018 will throw in front of me in the way of memoirs, but I hope they continue to be refreshingly random and varied. Peering into other lives life might seem a bit voyeuristic, but on the whole I think being invited to take a look makes for an enriching and more empathetic view of the world. Are you a fan of memoirs too? Subscribe to our monthly Biographies and Memoirs newsletter. What’s in a name? A whole story, actually! 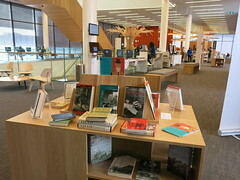 Every library in the Christchurch City Libraries network is named in both English and Māori, and with two new libraries (or rather, libraries returning in sparkly new form) popping up recently, we’d like to share a bit about their Māori names. Our libraries’ Māori names tell some great stories about their areas. For instance Matuku Takotako: Sumner Centre has been given the original Ngāi Tahu name for Sumner Beach. Literally referencing the upright posture of bitterns, it also reflects the community and local iwi identity and recalls a Polynesian tradition associated with Tawhaki, who is said to have ascended to the heavens in the pursuit of knowledge – very appropriate for a library! Ōrauwhata: Bishopdale Library and Community Centre means “the place of the multitude of eels” and recalls the area before it was planted and developed by the Bishop family in the 19th century. At this time whata (eels) swam in overflow water basins formed during flooding from the Waimairi River. Curious about your local library’s Māori name? 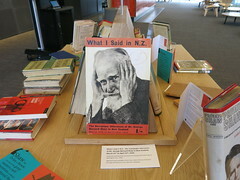 You can find our all about it on our Māori Library Names page (and listen to sound files of the pronunciations too). While you’re exploring, why not check out our Te Wiki o te Reo Māori page too? Or view the video below showing some Māori place names in and around Ōtautahi. 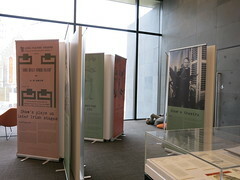 It all started just after the February 2011 earthquake, as so many other interesting projects did. When my usual library (the Central Library) was closed, I was reassigned along with my colleagues – first to emergency response related duties, and then to help out at other suburban libraries as they reopened and experienced increased patronage. So, I found myself on a bus to Lyttelton! On my first day my new colleague Lizzie greeted me with “So you’re the person who gets all the new garden books on hold before me!” From that welcome followed many hours of gardening talk; through aftershocks, closures, and long Friday afternoon desk shifts (often involving customers in the discussion). A bit before spring of 2011 Lizzie uttered the fateful words “Hey, we could do a seed swap!” and The Great Lyttelton Library Seed Swap was born. It has been brightening up our early spring days at Lyttelton ever since. Our swap has includes seeds and seedlings (and even baby fruit and native trees on occasion) and we have the Lyttelton Community Gardens on board too. I left the libraries for four years, but couldn’t stay away and was delighted to discover on my return that not only had The Great Lyttelton Library Seed Swap thrived, but it had put out runners to Akaroa and Hornby Libraries – and this year, with the help and enthusiasm of Remy at Spreydon Library, it’s popping up at Spreydon and South libraries too! Check out the times and dates for your nearest seed swap now. While 2016 was taking its final victims, one smaller obituary caught my eye amidst the many articles on the passing of Carrie Fisher and George Michael. 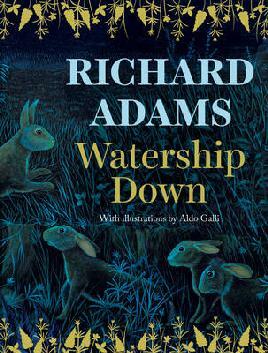 The obituary was for Richard Adams, author of Watership Down. At 96, we certainly could not say that Adam’s rich life was cut short, but to lose him at the same time as Carrie Fisher hit me a little hard. Why? Because I think I can safely say that if Star Wars was the major film influence of my childhood (why yes, I am of an age that I saw Episode Four at the movies) Watership Down was my literary guiding star. Like a perhaps-not-surprising number of librarians, I have a literary tattoo. Two rabbits make a small circle on the inside of my right wrist. Those familiar with the beautiful and terrifying movie adaptation of Watership Down might recognise them as the Black Rabbit of Inlé and El-ahrairah, the dominant figures of the amazing mythology Adams created for his rabbits. I first read Watership Down when I was seven – it was the first “grown-up” novel I read. My Mum was reading it to me chapter by chapter at bedtime and I got impatient, wanting to know what happened next – one chapter each night just wasn’t enough! Therein started a lifelong love affair (and a tendency to read under the blankets by torchlight). I became passionate about all things rabbit. I suspect this actually began earlier (I had a family of soft-toy rabbits), but this was about real rabbits, with real rabbit behaviours, and sometimes brutal realities. I soaked up information about rabbits like a sponge, reading every book on the subject my local library had to offer. My poor parents also became the subjects of an intense campaign for pet rabbits. They managed to hold out for five years (pretty impressive as I was using every emotionally manipulative, devious and ceaseless tactic in my young arsenal). I’ve had pet rabbits pretty much ever since, save for a couple of gaps of a few years. One of my most treasured childhood birthday presents was an illustrated hardcover edition of the book, full of beautiful watercolours and pen-and-ink sketches. It still has pride of place on my bookshelf, not least because I think my parents went to some trouble to acquire it. I also still have a cassette tape of the movie soundtrack – no videos in those days, let alone DVDs – though it’s a little stretched and wobbly now from endless hours of playing. When I lost count sometime in my early teens, I had read Watership Down well over one hundred times. I could quote large sections by heart. I can still pretty much tell the wonderful rabbit creation story off the top of my head. But when I look back over all the years of reading this book, what really stands out to me is the different things I learned at the various ages I dipped into it. At seven I learned not only about rabbits, the English countryside, and its flora and fauna; I also gained – at a rather young age – an introduction to some quite complex philosophical ideas about the cyclical, amoral (as opposed to moral or immoral) nature of life and death: that there are no “goodies” and “badies” in the natural world of predators and prey. 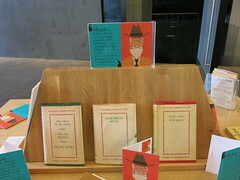 In my early teens I became fascinated by the way the warrens represented different political systems, from the complaisant, bloated monarchy of Sandleford and the fatalistic puppet-state of Cowslip’s warren, to the brutal dictatorship of Efrafa and the idealistic Utopian society of the new warren on the Downs. What Adams portrays so well through his rabbits is how the human spirit reacts in each of these situations. In my late teens I discovered Joseph Campbell and Karl Jung – and the hero-myths of El-ahrairah, scattered though the book, took on new meaning. Adams took Jungian ideas of the hero-myth and turned them on their head to suit his rabbits. El-ahrairah is not the young battling hero so common in human mythology, but is instead the Trickster figure (as is of course Br’er Rabbit) – often distrusted in our myths but who else would a prey animal look to, than a hero who always manages to fool his nemesis and live to run another day? Since then I have visited Watership Down every year or so like an old friend, each time being drawn in and delighted anew by the sheer level of detail in Adams’ descriptions and his slightly old-fashioned, thoughtful style of conversing with his readers. And yes, I still can’t listen to Bright Eyes, or read the end of the book, without sniffling a little. Goodbye Mr Adams. Thank you for lightening a long car journey for your daughters by telling them a story about an adventuring band of rabbits, and going on to discover your writer’s voice at 55. You crafted a story that has shaped my life. Nothing makes my day like a “hold available” notification from CCL for a crisp new garden book, and this week I got my hands on a real gem. 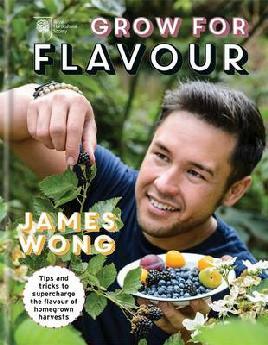 Grow for Flavour by James Wong (of Grow Your Own Drugs fame – not nearly as dodgy as it sounds) is a fresh ray of light in a forest of glossy gardening books that look pretty, but can sometimes be a bit guilty of repeating much the same information. Don’t get me wrong, Grow for Flavour is very a attractive volume indeed (who can resist an author who photographs his Star Wars figurines in his garden shots? ), but it’s not just a pretty publication. It’s full of interesting facts and innovative ideas for getting the best flavours out of your home produce.